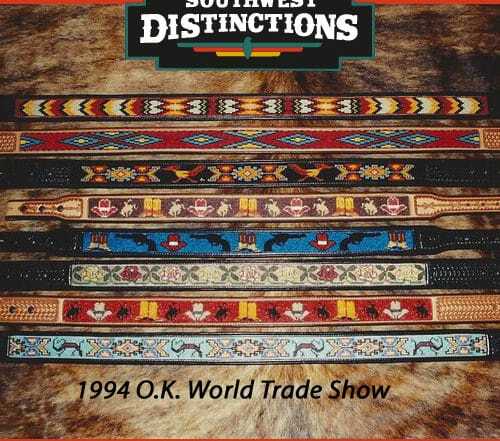 Welcome to Southwest Distinctions, where you will find stylish upscale, hand crafted inlaid beaded leather dog collars and beaded leather belts in a wide range of designs to reflect your personal style. 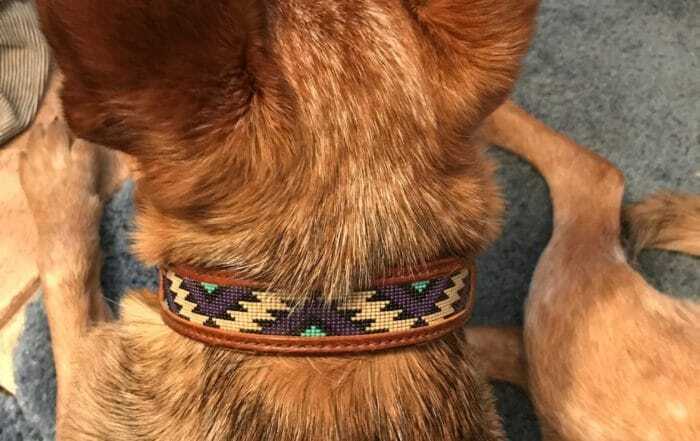 Southwest Distinctions has been hand tooling leather for the past 20 years creating stylish, upscale, hand crafted inlaid beaded custom dog collars and belts. Custom work is our specialty. Please call or email us with your special requests. 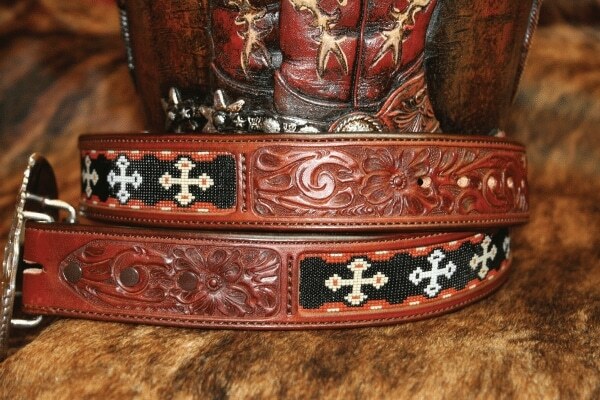 All collars and belts are custom made so yes you can make changes. Each collar and belt is completely leather lined. We use a high grade cowhide which will give you years of wear. Our collars and belts are also given the special touch of a stitch groove which allows the stitching to be pulled down deep into the leather, this prevents stitching damage. All dog collars also have the extra touch of a stamping design next to the stitching for added beauty. With our bead work a very SMALL size glass bead #15 is used which allows us to add more detail to each bead pattern. Hermann Oak leather is the only leather we use on all our dog collars. Stainless Steel buckle sets (with a keeper) are also used giving you the needed strength and also will never rust. Our guitar straps are made from Hermann Oak leather. 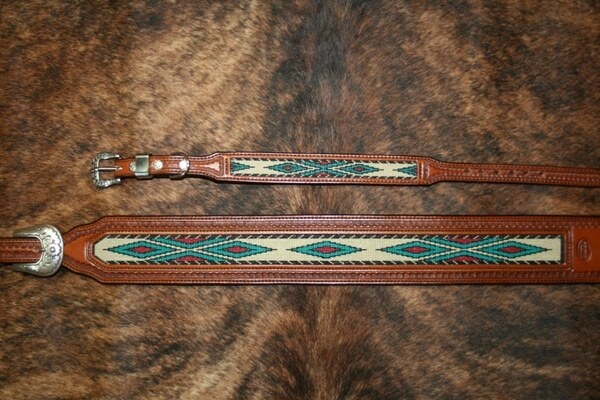 Each strap is either tooled or stamped with different widths available. Each strap comes with a Dunlap dual strap lock. 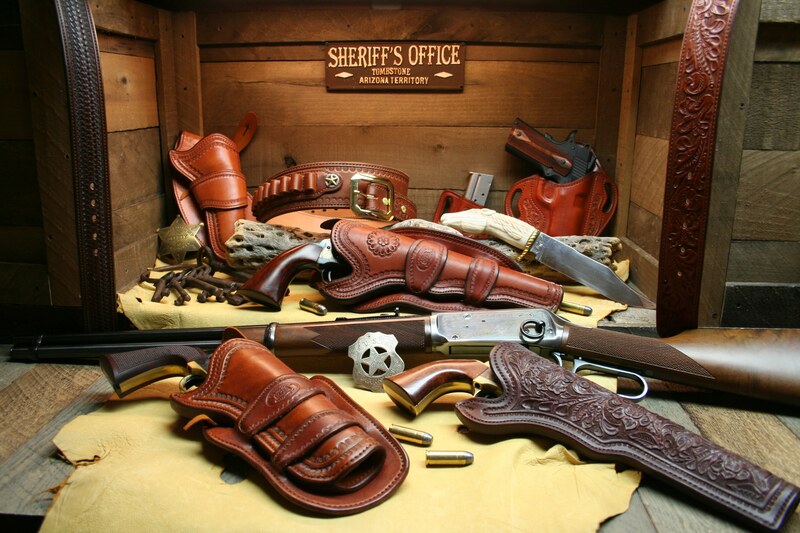 Our gun leather products are all made from Hermann Oak leather. Each piece is hand crafted, carved and stamped stamped with a variety of options available. Meet Don and Barb Mohr, we are committed to handcrafting inlaid beaded leather dog collars and belts that reflect your personalized style. 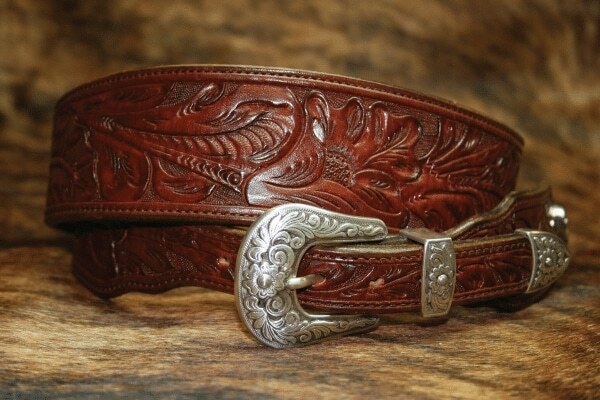 Don has always had a great interest in the art of hand tooled leather for the past 20 years has used his talents creating unique leather products. 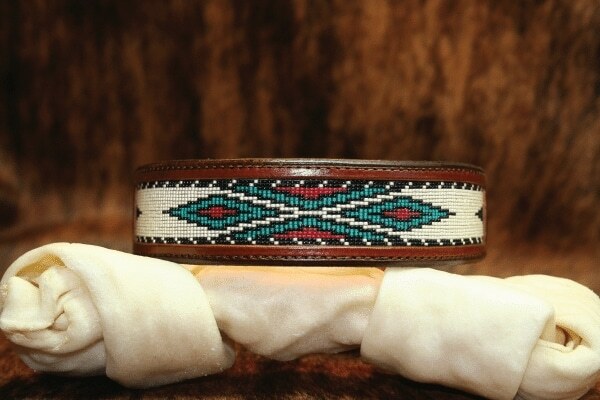 Don individually designs and handcrafts each dog collar and belt while Barb does all the hand beading. 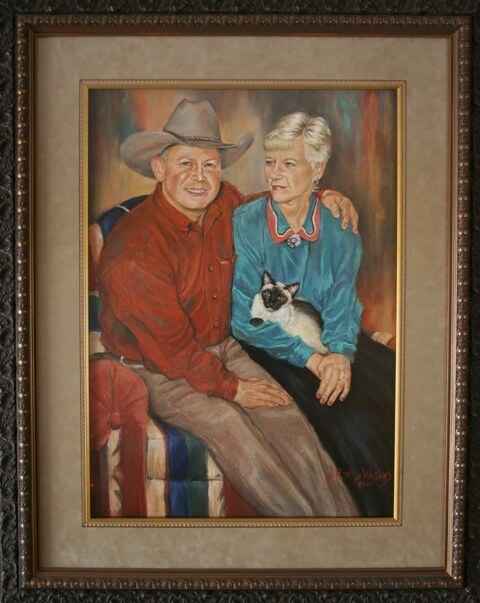 Working together as a team allows Don & Barb the opportunity to make a superior hand made quality product.